The world of gaming is like a parallel universe for people who are regular online gamers. But online games are not the only gamers’ paradise. With a huge range of gaming sets like Xbox and PS3 online game stores are equally fascinating for game lovers. 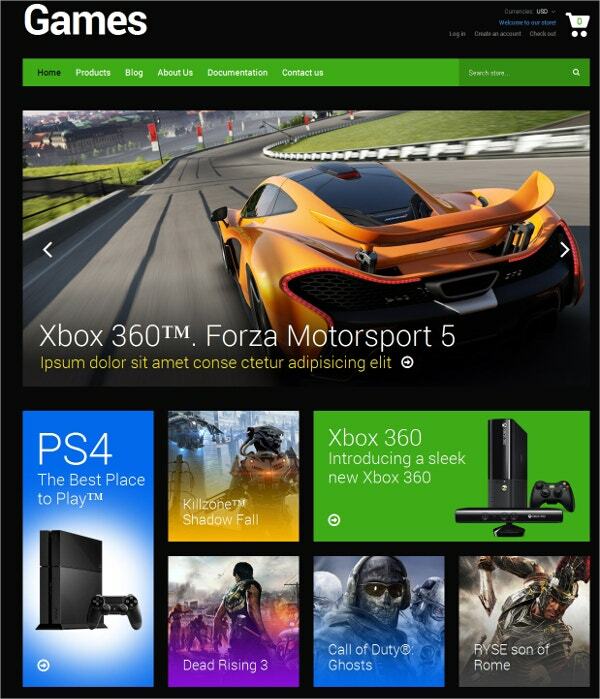 You may also see Gaming Website Templates. To make this paradise even more exciting, Shopify offers thousands of gaming themes that make the game shopping experience even more fun. With high quality graphics and striking visual effects, Gaming Themes offer a perfect showcase for selling games online. Download and install the best gaming Shopify themes and set up your own online game store. Featuring a 100% responsive design, this gaming shopify template design comes with loads of features. It offers a dropdown menu and advanced theme options. It also has integrated Google Maps and comes with social sharing options. It has a 24×7 support team. 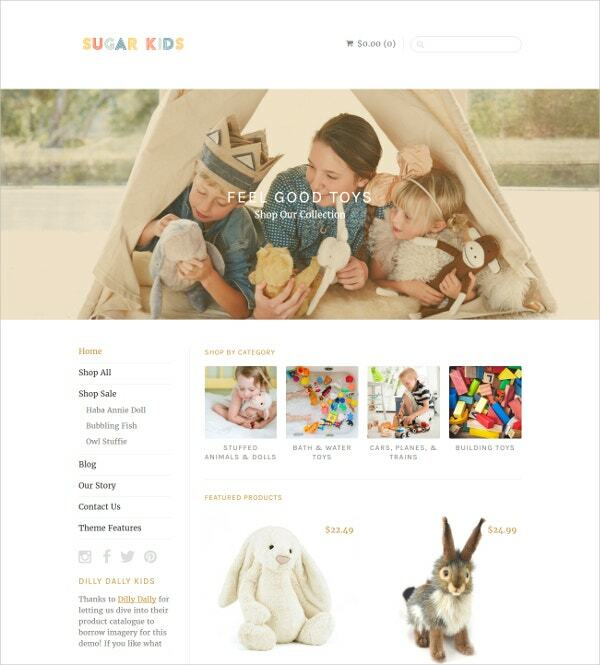 This is a boutique theme, and has the ability to handle all catalogue sizes. It offers a user friendly design and displays your products in a way that it is surely going to attract customers. It comes with loads of other features. 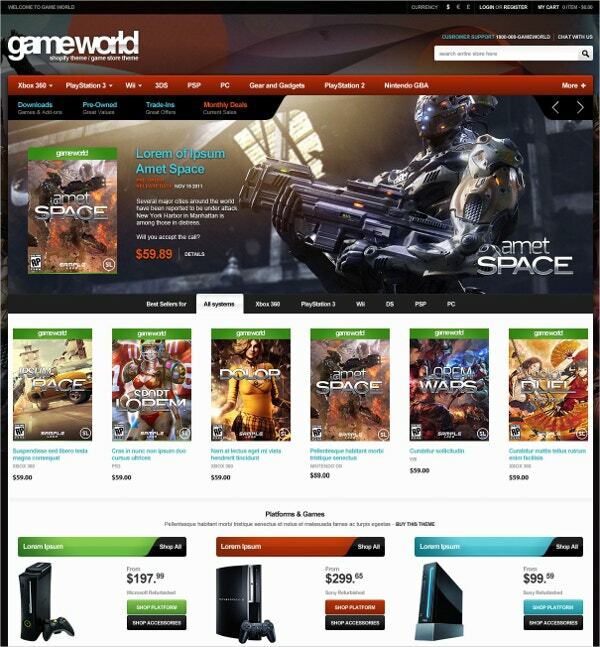 Top free gaming Shopify themes offer pre-designed templates, with suitable tabs for a game store. Additionally, with premium Gaming Themes, you can apply suitable colour schemes, implement your own logo exercise other custom aspects. Gaming Shopify themes offer a clean and mess free website for a pleasant experience for game shoppers. These Gaming Themes are extremely comprehensive and easy to manage. It’s just the matter of a few steps, one click download, install and apply the best theme and you are all set with a new and amazing game store. So, download now and game on! If you’re looking for gaming themes, these two are great choice you have. The designs are such that all online gamers would like them and the presence of advanced features would enhance their gaming experience.